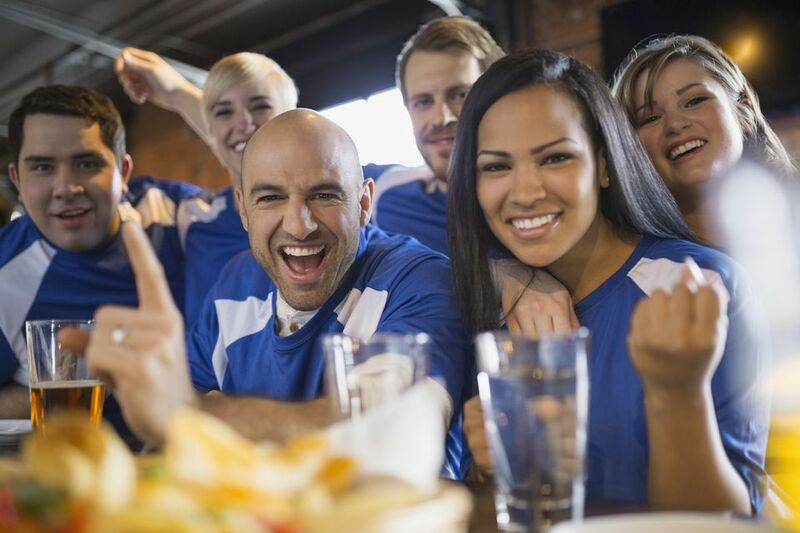 Even in this era of massive home entertainment centers with gigantic big screen TVs and surround sound systems, there's still something about the comfort of community when it comes to watching sporting events. And what better place than the local sports bar to watch that big event? Whether it's the ​Super Bowl, World Series, March Madness, or other big game of the week, these are sure bets when it comes to where to watch your favorite teams in San Diego. Jolt'n Joe's is a great place for drinks, eats, billiards and—of course—watching sports. Now with two locations (La Mesa and the Gaslamp), the venues are spacious and offer all the required amenities for the sports enthusiast. The newest location in the Gaslamp (in the former Gaslamp Billiards Club) even has a rooftop patio. If you want that quintessential English Pub atmosphere and also want to catch your favorite team during World Cup soccer time, this is the place. Shakespeare Pub and Grille is a genuine English pub with tasty beers on tap and menu items featuring traditional British fare. If you prefer your sports watching in a more old school atmosphere while sipping some libations, Bully's East is the place for you. Known for its steaks and prime rib, Bully's is a comfortable establishment with low lights and lots of wood. It's often been a favorite of pro athletes, who will pop in after games at nearby Qualcomm Stadium. This laid-back bar, in the shadows of Qualcomm Stadium, is unassumingly tucked away in a strip mall. Despite that easy-to-miss location, it's become a favorite of locals. The Pennant is the quintessential beach dive bar and has been around since 1962. If you want to soak up the Mission Beach lifestyle while catching a sporting event, this is your place. You'll find a relaxed environment, a pool table and large televisions on which to watch sporting events. OK, so they're known more for their, uh, hot wings, but Hooters restaurants are also sports bars, with a number of TVs situated throughout the venue. You can find San Diego locations in Mission Valley, the Gaslamp, Rancho Bernardo and Pacific Beach. There is also a location in North County in Escondido. What can you say? It's a Chuck E. Cheese for adults on steroids. The games arcade tends to make sports watching secondary, but it's fun anyway, if you don't mind high prices and sensory overload. You have to experience it at least once in your life and a sports game is a good excuse to do so. Edited by Gina Tarnacki on September 28, 2016. What Are the Best Sports Bars in Denver?